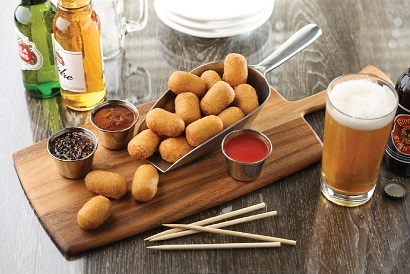 Beef & pork mini corn dogs. 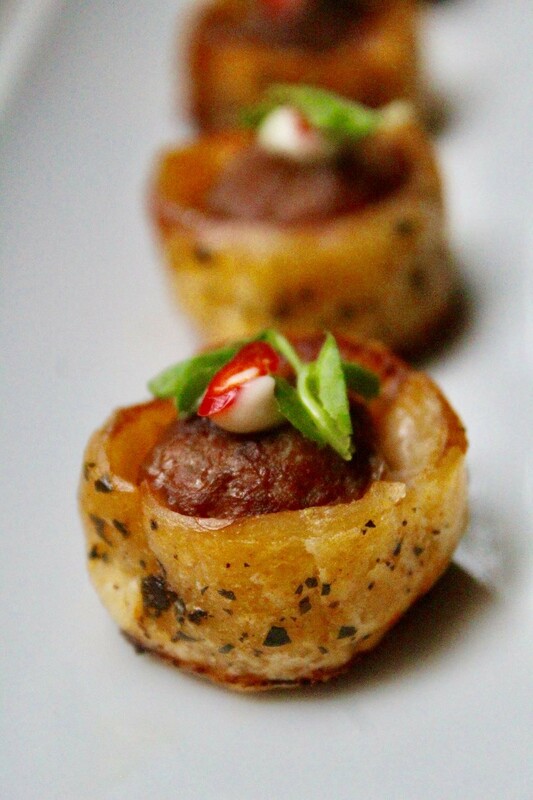 Earthy and fragrant lamb merguez sausage hand-rolled in a flaky puff pastry, lightly dusted with fresh mint, sea salt and chili flakes, individually sliced for an elegant take on this classic item. 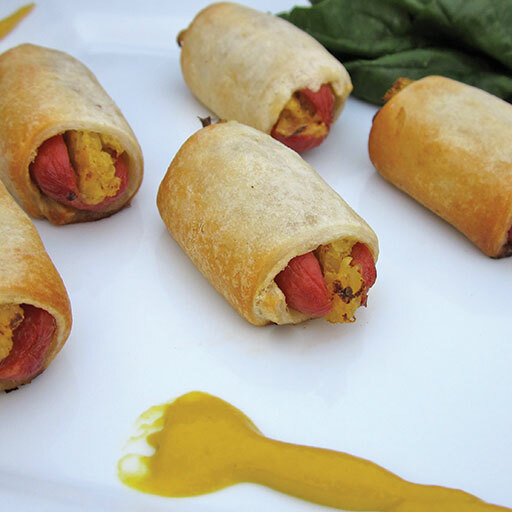 Street foods collide in our new over the top pigs in a blanket that’s stuffed with slow cooked pork, smoked ham, pickle relish, and Swiss cheese. 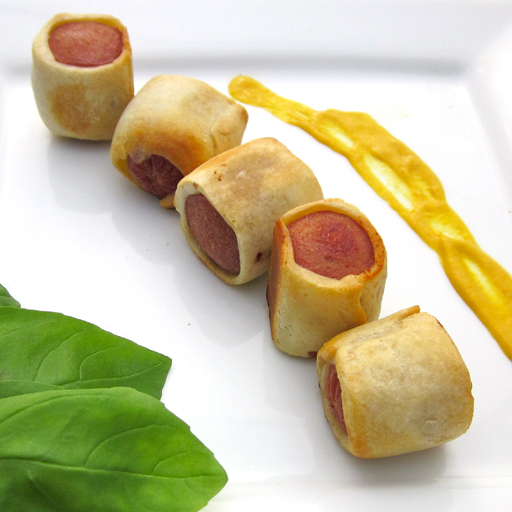 All beef frank stuffed with sauerkraut and mustard, wrapped in a crescent roll pastry. 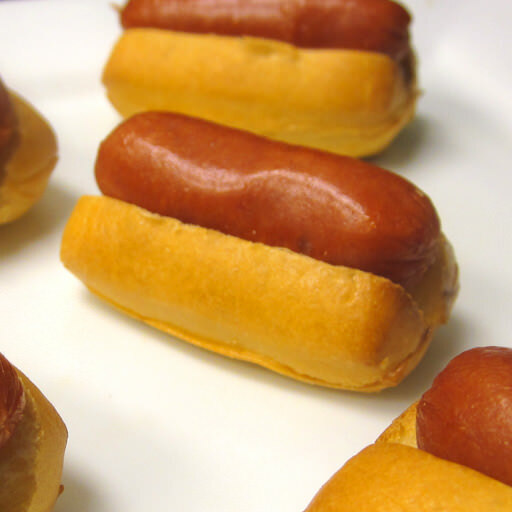 We’ve miniaturized an American classic: an all-beef frank presented in a petite bun, ready for the topping of your choice. 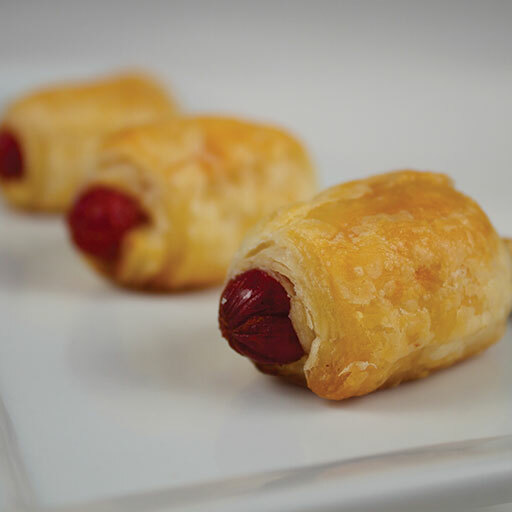 The traditional cocktail-sized all beef franks wrapped in a flaky puff pastry roll. 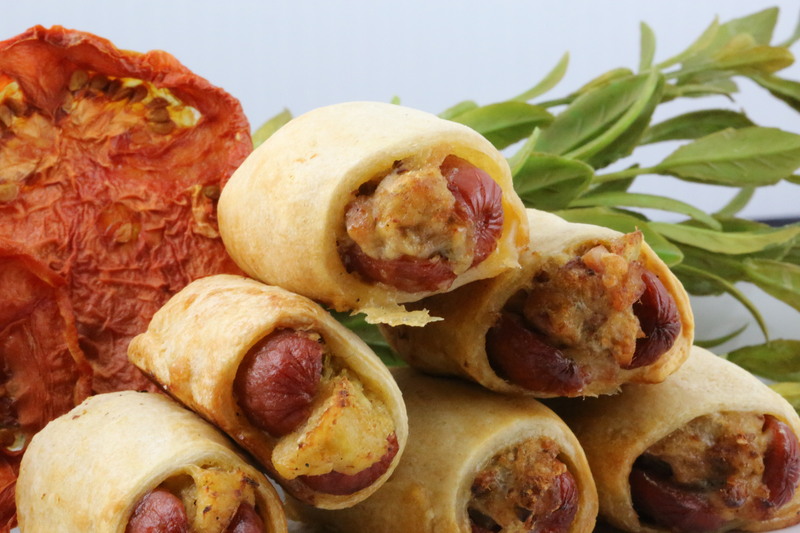 The traditional franks in a blanket, but bigger: An all beef frank, cut and quartered, and wrapped in a crescent roll pastry.